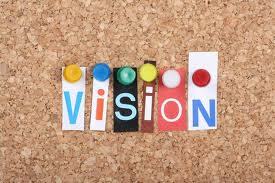 VISION is pursued in YOUth achieving what is most important to YOUth. As Albert Einstein said, “I have no special gift, I am only passionately curious.” It is with that passionately, curious outlook on life that we Dream and Dream BIG. Such passion and curiousness begin early (infancy) on in our human existence. If we are not careful as parents, caretakers, grandparents, mentors, leaders, we can hinder that curiosity and thus stifle a child’s ability to Dream and Dream Big. Dreaming allows both them and you to grasp the VISION for life…. The Bing dictionary (online) defines vi•sion [ ví’n ] “as the eyesight: the ability to see”…..I venture to say, its one’s ability to see their future being, to forecast what it is they want in life, it simply gives direction to activities and motivates one to move forward to achieve a desired goal. These are a few tips to help in nurturing the Vision in today’s YOUth! Give them the Freedom to think, to feel, to be them. Be an Example of a Creative Person in Action, we are our children’s primary role models therefore be creative and open to new adventures, activities. Follow your own interests and passions. Respect their imagination, for that is where creativity begins. Practice affirming them in their Vision. Such affirmation statements nurtures a creative environment in which to allow them to pursue their Vision; You are so creative, Tell me more about your dreams, visions, and Wow that sounds like a great idea. Appreciate their Creativity and encourage inquisitiveness and a sense of wonder. Envision them as the wonderfully unique individual that they are. Such self-fulfilling prophecy is a strong influence on children’s behavior, including creativity. Maximize Success by giving children every opportunity to develop their interests, experience new things as well as build new skills. Have Fun by laughing, having fun while they Dream and Dream Big, encouraging more creativity and a sense of enjoyment while they pursue their VISION. Let it be okay, let it be great, let it be the norm for YOUth to express themselves in whatever (healthy) way that feels good to them. Then will come the Albert Einstein’s, the Steve Jobs, the Michael Jordan’s, the Barak Obama’s, and the Oprah Winfrey’s of the next generation…. When we foster a “Free To Be You” environment and allow the same for ourselves, life takes on a greater meaning, a meaning of Purpose. It never too late to pursue your vision as an adult neither is it too soon to help our YOUth in pursuing theirs. I believe that former First Lady Eleanor Roosevelt said it best “You rarely achieve finality. If you did, life would be over, but as you strive new visions open before you, new possibilities for the satisfaction of living”. 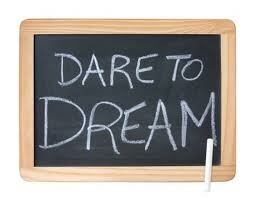 As long as there is breathe in your body, you have another chance at Dreaming and Dreaming BIG…. Enjoy your today to the fullest!